Are you frustrated with your Plantar Warts that is not getting better? 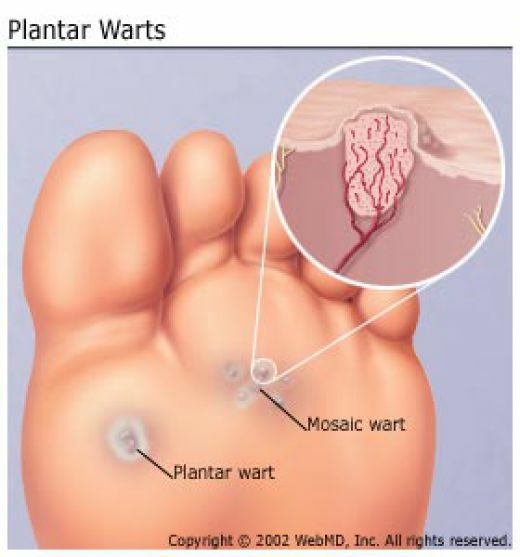 Plantar Warts is a Virus and Contagious. Cure your Plantar Warts today! Call us at (65) 64712744 or SMS to (65) 92357641 to schedule for an appointment. A plantar warts (also known as “Verruca plantaris”) is a wart caused by the human papillomavirus occurring on the sole or toes of the foot. (HPV infections in other locations are not plantar). Plantar warts are usually self-limiting, but treatment is generally recommended to lessen symptoms (which may include pain), decrease duration, and reduce transmission. How to diagnose Plantar Wart? A plantar wart is a small lesion that appears on the sole of the foot and typically resembles a cauliflower, with tiny black petechiae (tiny hemorrhages under the skin) in the center. Pinpoint bleeding may occur when these are scratched, and they may be painful when standing or walking. Plantar warts are often similar to calluses or corns, but can be differentiated by close observation of skin striations. Feet are covered in skin striae, which are akin to fingerprints on the feet. Skin striae go around plantar warts; if the lesion is not a plantar wart, the cells’ DNA is not altered and the striations continue across the top layer of the skin. Plantar warts tend to be painful on application of pressure from either side of the lesion rather than direct pressure, unlike calluses (which tend to be painful on direct pressure instead). Once a person is infected, there is no evidence that any treatment eliminates HPV infection or decreases infectivity, and warts may recur after treatment because of activation of latent virus present in healthy skin adjacent to the lesion. There is currently no vaccine for these types of the virus. However, treatments are sometimes effective at addressing symptoms and causing remission (inactivity) of the virus. The treatment that will be effective in a particular case is highly variable. It is ranging for fudikin cream, burning the infected skin to the surgical procedure to remove the plantar wart. Cure your Plantar Warts (Foot Corn) today. Painless Roots Removal of Plantar Warts. Call us (65) 64712744 – 24 Hours or SMS to: (65) 92357641 to schedule for an appointment.